Around 2 p.m. Thursday, police say the suspect was located near Alma School Road and Frye Road with a gunshot wound to his hand. The suspect has been transported to the hospital for treatment. A second person has been arrested at that location and is being considered an "investigative lead" by police. 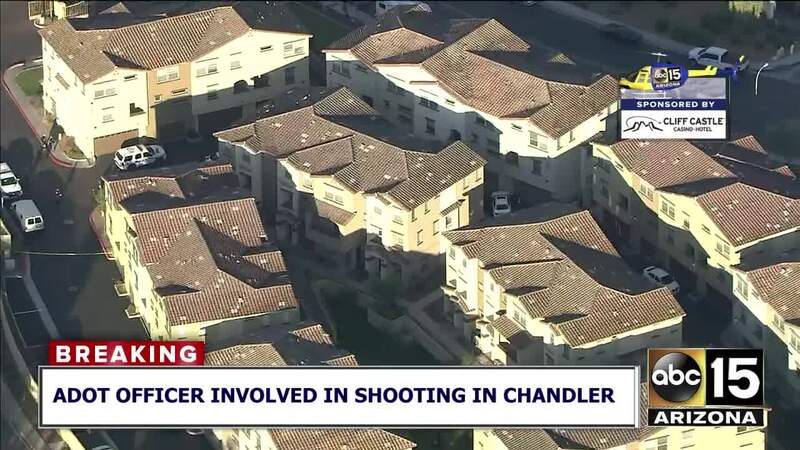 A suspect is in custody following a shooting involving an Arizona Department of Transportation officer in Chandler on Thursday morning. 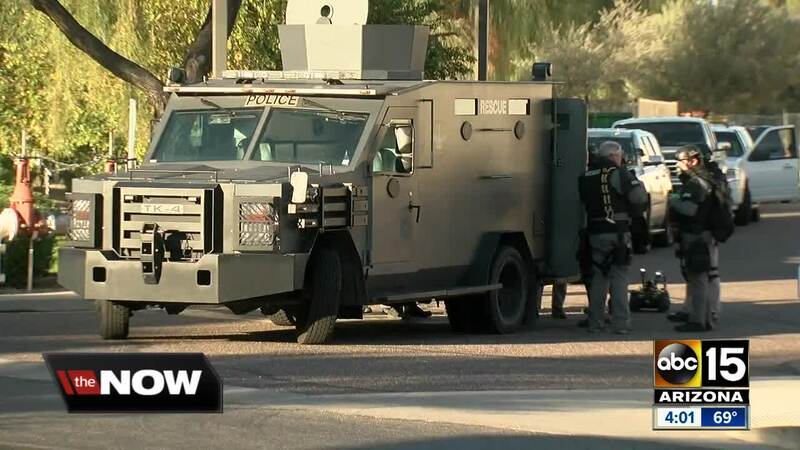 ADOT officers were in the area of Alma School Road and Chandler Boulevard serving a search warrant. The suspect, identified as 26-year-old Kamari Ameir Diamond, was wanted on felony charges. ADOT says they contacted Diamond, who jumped into a vehicle. Diamond reportedly tried to flee the scene in the car and grazed the officer with the vehicle. At that time, another ADOT officer fired into the vehicle. Around 2 p.m. Thursday, police say Diamond was located near Alma School Road and Frye Road with a gunshot wound to the hand. The suspect was taken to the hospital for treatment. A second person arrested at the location was questioned as an "investigative lead" by police, but is not facing any charges. Diamond's car was found empty in a nearby business parking lot with blood inside. Police say no officers were injured.